Here at New Life Church we have learnt to be intentional about certain key things. Having a set of clearly defined values that we aim to live by and model falls into that category. This is the first of three blog posts that focuses on our values and attempts to answer some questions about them. Why did we choose our set of six specific values? How do we try to model them? How do our value icons communicate them visually? We believe that being accepting of people helps to break down judgements and barriers and brings freedom. Acceptance reflects God’s grace towards us as we in turn accept others. When we are accepting we demonstrate kindness, patience and forgiveness to all. Acceptance encourages us to take risks with people we might not usually get to know. It enables a freedom of expression. It is gracious and inclusive. The icon we chose to represent this value hopefully speaks for itself. It shows a 'pie' wedge fitting into a 'pie'. We hope it demonstrates a sense of belonging, of being one together. Romans 12:10 tells us to honour one another above yourselves. 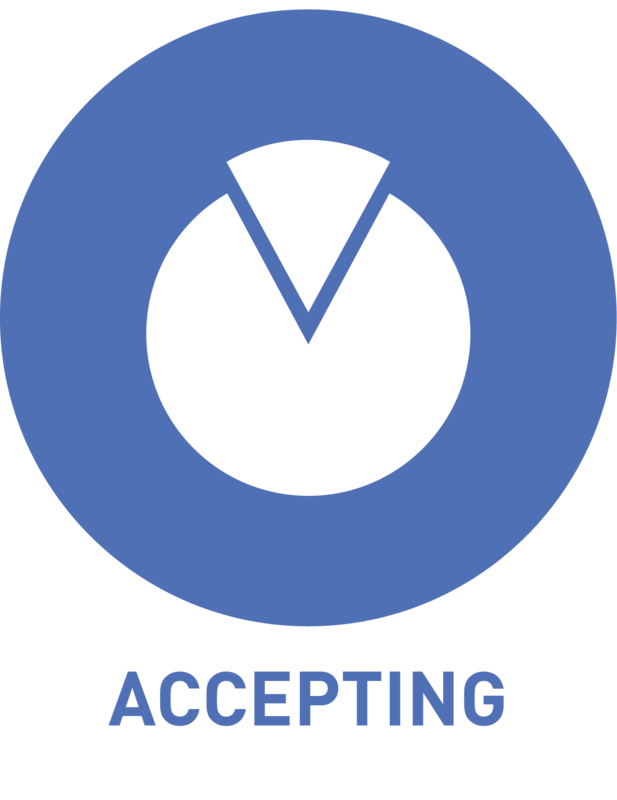 We generally pair this value with acceptance as it is difficult to accept someone if you do not honour them, and vice versa. 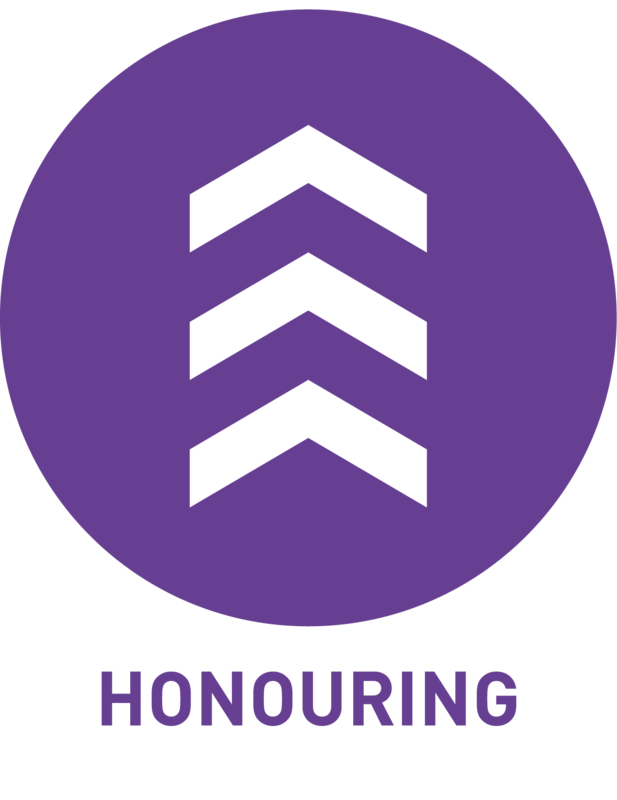 Honouring is about giving someone respect, being willing to learn from other people, enabling and empowering others, and giving them opportunities to be all they are meant to be. An important side effect of hoouring is that it puts a stop to gossip. People often talk about giving grace to one another, but scripture does not use grace in this way. Grace is always applied from God to man. Honour is one of our responses to grace. In the same way that grace is undeserved favour, honour means to respect someone’s intrinsic value. We did not realise the powerful effect this would have in our community. We seek to be empathetic towards other cultures, and to be very unprejudiced. It is a shared journey. It impacts on people's view of themselves and others. We choose to show honouring visually through the use of three upward arrow heads. These represent people cheering one another on to hight heights.